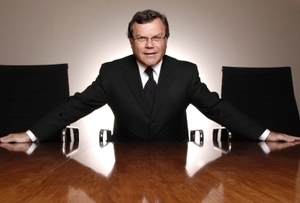 Quote of the day: The WPP boss appeared on US chat show 'The Valley Girl' this week. While being quizzed on his lineage, company and being challenged to knot a tie as fast as he could, he shared this gem on his knighthood: 'I was knighted by the Queen. So she dubs you, she sticks the sword on your shoulders and head - 'Arise, Sir Martin' - and then you have a brief conversation with her. And she's meant to be exceedingly well briefed. But there was a little bit of a disconnect with me. She said, 'Are you still involved in the business?' I was a little bit taken aback by that, so I said, 'Well, ma'am, I am... Unless you know something I don't know?! '.